We came, we saw, we drank coffee… and we helped the education sector better understand how CyberHound simply improves school outcomes. 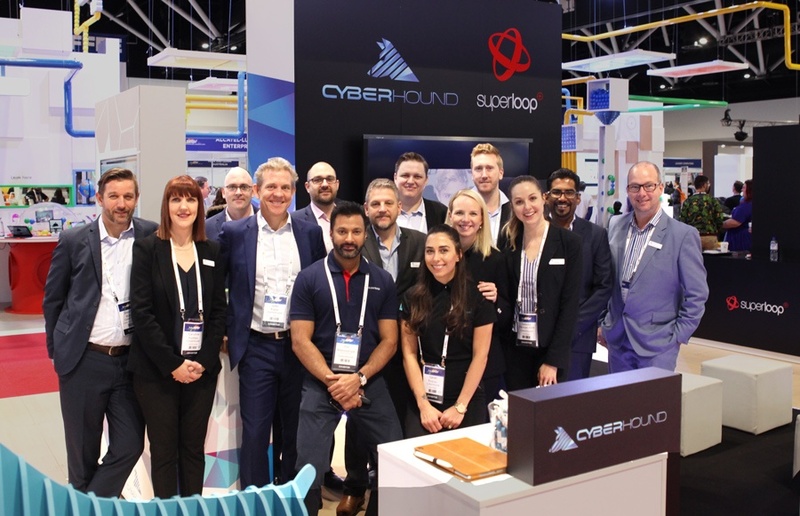 Located in a premium position amongst the likes of Google and Microsoft, CyberHound had a large format stand to enable the delivery of product presentations and live demonstrations. Also on hand at the stand was our parent company Superloop, sibliing company GX2 and Circle with Disney – the at-home cybersafety device we helped introduced to Australia. Our staff were kept busy by a constant flow of delegates seeking information on cybersecurity, learning enablement, Superloop’s NBN offering, GX2’s Wi-Fi solutions and details on Circle with Disney. The rolling demonstrations and presentations kept the crowd engaged as did our on-stand barista who served thousands of coffees. At EduTECH, during the National Schools Interoperability Program’s NSIP Interoperability Challenge, CyberHound CEO John Fison presented on the benefits of Clearview to over 150 delegates that included government and education leaders. SpeakUp! is a new service for students to alert school welfare offices and leaders of issues they see within a school. It provides a very simple way for a school to receive direct alerts from students on issues such as bullying, self-harm, drug use or any other behavioural risk. The service is accessible by all students within the LiveZone portal and has been designed to be incredibly simple to access and use. ChromeSafe offers schools using Google services and Chromebooks a managed Chrome browser extension to provide ease of filtering and behavioural analytics. The extension can simply be added and secured by the Google administrator and ensures on and off network controls for Chromebooks. The service can provide web filtering, ClearView welfare support and time of day controls, all linked to CyberHound’s advanced reporting capabilities. View these and other new CyberHound features HERE.